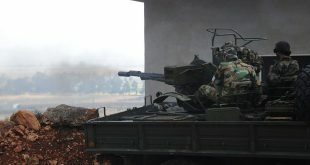 Provinces, SANA – The army is advancing further in the northern countryside of Lattakia while its army units have stepped up operations in other areas, killing more terrorists and destroying their heavy weaponry. 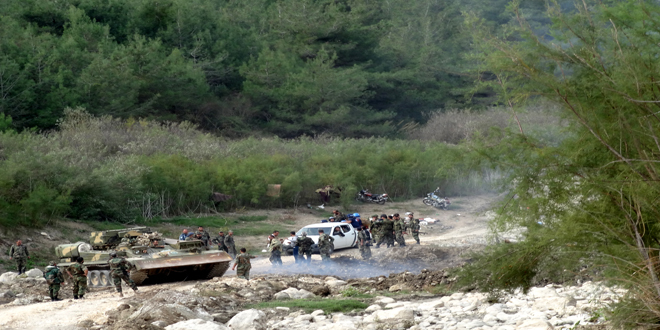 Army units, in cooperation with popular defense groups, established control over hills 652, 687.5, 526, 662.8, and 427 in Lattakia northern countryside, inflicting losses in personnel and equipment on terrorists in these areas. Earlier, Army units, in cooperation with popular defense groups, established control over Hill 754.5, Syriatel Tower, Jabal al-Aswad al-Kabir and Atira village in the northern countryside of the coastal province. Other Army units also established control over the strategic al-Sayyed Mountain in the northern countryside of Lattakia province, a military source announced on Thursday. Terrorists positioned in the area were fired at intensively, with many of them getting killed and the rest escaped, the source told SANA. During combing operations in the mountain, the army units dismantled many explosive devices and mines planted by terrorists and found at its foot a 50 m tunnel equipped with lighting that contained vehicles and equipment used by the terrorists to dig trenches and tunnels to hinder the army’s advance in the region, according to the source. The new achievement came one day after the army established control over the strategic al-Noubeh Mountain in Lattakia northern countryside. An army unit carried out an operation against a center for terrorists in al-Badou quarter in al-Manshiyeh neighborhood in Daraa al-Balad area in Daraa city, a military source said on Friday. Three vehicles with heavy machine guns mounted on them were destroyed in the operation and 18 terrorists were killed, including the leader of the so-called “Jabhat Thouwar Souria” who is named Rida Muhannad al-Masalmeh. The source also told SANA that another army unit targeted Jabhat al-Nusra terrorists in al-Nazihin Camp in Daraa al-Balad, destroying a hideout with weapons, ammunition and terrorists inside. A vehicle equipped with a heavy machine gun was also destroyed in Daraa al-Mahatta. 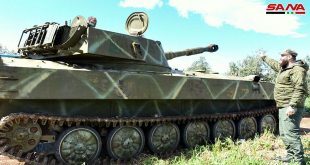 In Atman village in the northern countryside of Daraa province, an army unit killed a number of terrorists, injured others, and destroyed their equipment, while a second unit did the same in the nearby town of al-Naima. 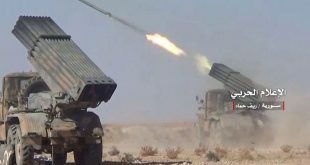 Army units continued targeting terrorists’ movements on the administrative border lines between Daraa and Sweida, killing all members of a terrorist group moving on the road between Busra al-Sham city in Daraa and Barad village in the southwestern countryside of Sweida. In Sweida province, a military source said an Army and Armed Forces unit prevented an attempt by terrorists to infiltrate in the direction of al-Thaala village in the province’s northeastern countryside. An Army and Armed Forces unit directed concentrated strikes at hideouts and hotbeds of ISIS terrorists in al-Zakah valley, al-Musk valley, north of the quarries, and south of Palmyra Citadel in the eastern countryside of Homs province. 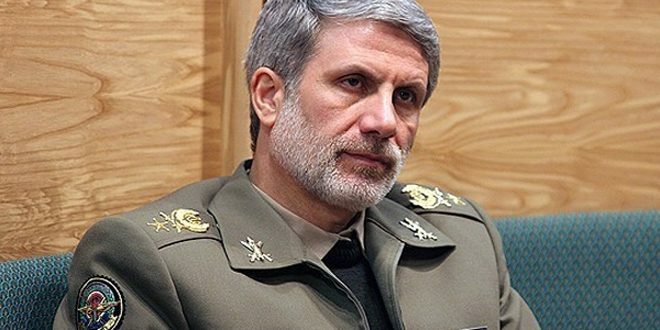 A military source told SANA said the strikes resulted in destroying machinegun-equipped vehicles, weapons, and military equipment used by the terrorist organization. In the province’s northern countryside, the source said that the army destroyed bases and fortified sites for Jabhat al-Nusra and other terrorist organizations in al-Najma hill and Teirmaala village in Talbiseh area 13km north of Homs city. Following a series of concentrated operations, Army and Armed Forces units on Friday established control over a number of new points in the surroundings of the Military Airport and the outskirts of Marj al-Sultan town in the Eastern Ghouta area in Damascus Countryside. A military source told SANA that the operations inflicted heavy losses in personnel and equipment on terrorists in those areas and destroyed a number of their fortified sites and bases, forcing the surviving terrorists to flee. 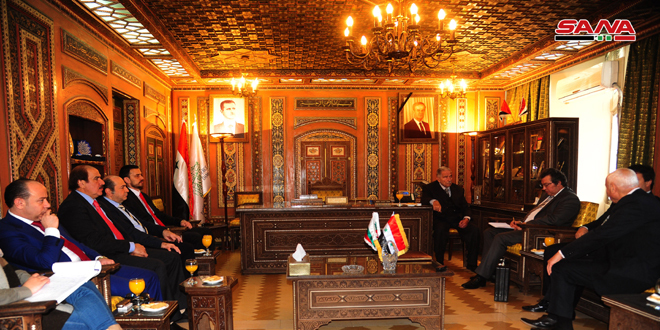 With this, the Syrian Arab Army bolstered its defensive positions and strengthened its control over points and lines in the town and surrounding farms, placing all terrorist sites in the depth of the Eastern Ghouta within the Army’s firing range. 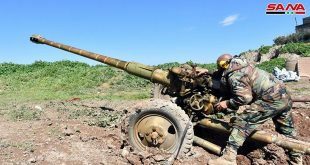 An Army and Armed Forces unit killed and injured a large number of terrorists in the neighborhoods of Salaheddin, al-Rashidin 4, Sheikh Lotfi, al-Kallaseh, al-Sakan al-Shababi, and al-Maasaraniya in Aleppo city, destroying several of their hideouts, munitions, and military equipment. A military source told SANA that another army unit inflicted heavy losses in personnel, equipment, and vehicles on ISIS terrorists in the surroundings of the Air Force Academy, while another unit killed a number of terrorists and destroyed their equipment in the surroundings of al-Nairab Airport in the province’s southeastern countryside. Army operations in Aleppo’s eastern countryside resulted in the death of many ISIS terrorists and in destroying their concentrations and hideouts in the city of Deir Hafer and Maskana town in Manbej area. A number of terrorists from Jabhat al-Nusra and other terrorist groups affiliated to it were killed and others were injured following army operations in the villages of al-Zarba, Khan al-Asal, Khan Touman, and Tal Hediye in the southern and southwestern countryside, while more terrorists were eliminated along with their weapons and munitions in Zamar and al-Huwaiz.